9/20/10 - JAWS makes news again as the inspiration for new BC campus club, W.I.S.E. (Women in Science and Engineering)! Read it here. 11/19/09 - The Brooklyn College JAWS event featuring Dr. Susan Schulman, MD, was recently covered by BC's campus newspaper, The Excelsior. See the article here. From 2009 - 2015, JAWS featured a weekly to monthly "News Feed." Below you may scroll through this feed of various articles and topics of interest, as well as previous announcements of various events and highlights from the website. March 23rd: Google doodle in honor of Emmy Noether's 133rd birthday. Read coverage by Vox and The Washington Post. Read the JAWS Emmy Noether biography here! The amazing story of the Jewish professor who discovered a treatment for Alzheimer's. Meet our February Woman of the Month, Dr. Marta Weinstock-Rosin! Visit our Woman of the Month series for previous biographies! New Year? New member! Join JAWS today! In memoriam of Judith Edelman, a firebrand Architect in a male-dominated field. Visit our Woman of the Month series for more biographies! UPCOMING EVENT: Join JLIC at Brooklyn College on November 13th at 8:30pm for dinner with Dr. Ari Steiner (radiologist) and Dr. Anne Steiner (ophthalmologist) as they discuss balancing medical school, career, family, Shabbos, Halacha and life. For more details visit our General Events. New link! BestColleges.com has compiled a list of College Scholarships and Resources for Women. See the Links page for our complete list of funding resources. Wishing all our members a Shana Tova! In honor of our 5th year anniversary we have created a Facebook page "Jewish Alliance for Women in Science." Show your support by liking our page and keep up with the latest JAWS news! Followup article on Ezras Nashim by The Times of Israel. Ezras Nashim is the first Female Orthodox volunteer EMT service and will be servicing Brooklyn, NY. Ezras Nashim is a new Orthodox Women's EMT Corps launching in Brooklyn, NY. Many volunteer opportunities are available! Read news coverage here 1, 2. May 20th event at NYU School of Medicine: Women In Cardiology: A panel discussion for all female medical students, residents, and fellows in training exploring a career in cardiology. A compilation of Jewish Women in Science, by Pnina G. Abir-Am PhD, Historian of 20th Century Science. Visit our own Woman of the Month series for more biographies! March is National Women's History Month! This year?s theme is Celebrating Women of Character, Courage, and Commitment. This month we highlight the blog Mothers in Medicine. We recommend it for its wit, wisdom and simply good reads! Ring in January by becoming a JAWS member today! Rounding off 2013 with Ten Historic Female Scientists You Should Know from the Smithsonian.com. For our other articles, visit General News and Articles. Return of Woman of the Month and a new video! 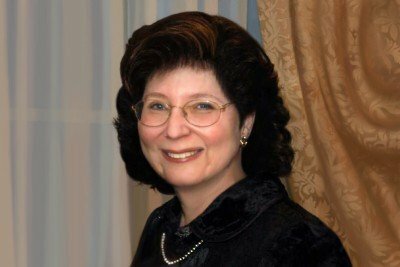 Learn more about Jew In the City's Orthodox Jewish All Star 2013 honoree, Dr. Laurel Steinherz, Director of Pediatric Cardiology at Memorial Sloan Kettering & Co-Founder of Camp Simcha! The Journal of Graduate Medical Education: The Case for On-Site Child Care in Residency Training and Afterward. For more newsworthy stories, visit our In the News page here. Today is International Women's History Day! Catch up on some amazing individuals who have had great achievements in their professions. Visit Woman of the Month. WE ARE ONE MEMBER AWAY FROM 100! Who is it going to be?! ?Join JAWS today! 11/22/12 - Happy Thanksgiving to all our members and viewers! We are thankful for your support of JAWS and of each other! 10/25/12 -What a wonderful program in NYC. Check out Rockefeller University's Women & Science! 7/29/12 - Israeli Female Scientists win Loreal-UNESCO Awards by Judy Siegel-Itzkovich. Read about how Dr. Ephrat Shema-Ya?acobi and Osnat Zomer-Pen receive NIS 50,000 apiece, while student Gili Bisker awarded NIS 10,000 prize. For our other articles, visit General News and Articles. 5/20/12 - Tracing the Path of Jewish Medical Pioneers by Roni Caryn Rabin. An exhibition offers a look at the emergence of European and American Jews as innovators in medicine, despite their status as outsiders frequently scorned by the establishment. For our other articles, visit General News and Articles. 4/5/12 - Giving Women the Access Code by Katie Hafner. Maria Klawe, president of Harvey Mudd College in California, has helped reverse the vexing trend toward fewer women in computer science, and others are following. For our other articles, visit General News and Articles. 3/26/12 - 6 Steps to Raising a Confident Daughter by Dr. Robi Ludwig - Timeless advice for parents and future parents of daughters! For our other articles, visit General News and Articles. 3/14/12 - New Mentor's Round Table Interview! Learn more about the exciting field of Ecology. Have questions about the career? Post on the forum or send us a message! 2/23/12 - Times are a-changing (we hope!). The Plight of the Pregnant Surgeon ByPAULINE W. CHEN, M.D. 1/10/12 -Check out this list of Famous Women Scientists. See how many you know and learn about the ones you don't! 1/1/12 - HAPPY NEW YEARS JAWS MEMBERS! 12/25/11 - Rhodes Scholarship goes to Bruriah alumna by Elaine Durbach. Miriam Rosenbaum is the first Orthodox woman to earn the accolade! For our other articles, visitGeneral News and Articles. 10/3/11 - Shana Tova to all our members and site-visitors! 9/5/11 - September begins a new school year. This month we honor Margaret Naumburg, psychoanalyst and founder of the Walden School. Margaret Naumberg was an influential author of many works on psychology and art therapy. Enjoy! 8/18/11 -It may be an old article but that doesn't mean it's not a good read! Bringing Out the Mother in All of Us by Pauline W. Chen, M.D. For our other articles, visit General News and Articles. 8/3/11 - August marks the two year anniversary of the establishment of JAWS! This month, our Woman of the Month honor goes to a group of Jewish physicians and nurses who work as volunteers providing lifesaving treatment for women and children in the developing world. Read about their Tikkun Olam through Medicine. 7/29/11 - New Career Advice video posted! Facebook COO Sheryl Sandberg looks at why a smaller percentage of women than men reach the top of their professions -- and offers 3 powerful pieces of advice to women aiming for the C-suite. Watch it here. 7/26/11 - Is nursing an appropriate profession for a Bais Yaakov graduate? What challenges does it present? How does a busy mother handle the long hours of hospital nursing shifts? These questions and others are addressed in Binah Magazine's article A Career in Compassion by Beily Paluch. For our other articles, visit General News and Articles. 7/1/11 - ?A Jewish woman whose father-in-law is a rabbi, who keeps a kosher home, who invites her lab assistants to Passover seders, and worries about them catching colds is not the typical image of a Nobel Prize winner...but it is the image of Rosalyn Yalow, the first woman born and educated in the United States to win a Nobel Prize in a scientific field.? Her recent passing in May 2011 reminds us of her incredible legacy. Read more about our July Woman of the Month- Rosalyn Yalow! May her memory be of blessing. 7/6/10/11 - Four researchers taking part in the World Science Festival talked with The Times about their lives as scientists, the joys and struggles of research, and the specific challenges women in science face. Read it! Women Atop Their Fields Dissect the Scientific Life by Gina Kolata. For our other articles, visit General News and Articles. 6/1/11- Lise Meitner was a pioneer in radioactivity and nuclear physics. Meitner co-discovered nuclear fission! Read on to learn more! For a discussion on Lise Meitner's life- check out the speech "Overlooked Achievement: The Life of Lise Meitner" by Ruth Lewin Sime, author of Lise Meitner: A Life in Physics in our Videos page. 5/5/11 - Upcoming Event May 10th! The Pre-Health Professions Club and JAWS are holding mock interviews for all pre health students. To get into a graduate program you will eventually have to go through an interview process that can be quite trying. We are here to tell you what to do and what not to do! For more information, visit here! 5/3/11 -Ada Karmi-Melamede, architect, lecturer and researcher in architecture, is one of the most important architects in Israel. She is our May WOM; keep reading to learn more about this incredible architect! 4/11/11 - "...with two babies, Dr. Dewar wants a life different from her father?s and grandfather?s..." Read this article, More Physicians Say No To Endless Workdays by Gardiner Harris, to find out more! For our other articles, visit General News and Articles. 4/1/11 - This month, JAWS was privileged to have personally interviewed Mayim Bialik. Being an actress (Blossom anyone? ), neuroscientist, and mother; our interview with Mayim covered quite a bit of ground! The interview concludes with different videos of Mayim from her acting to her speech at TribeFest. We think you will enjoy this interview; happy reading! 3/30/11- Event tomorrow! Brooklyn College PreHealth Professions club and JAWS are proud to present: THE BATTLE OF THE REVIEW COURSES! Examkrackers, Kaplan, and Princeton Review are coming to Brooklyn College to tell you why their review course is the best! Come listen to what they have to offer and help you get accepted to the best graduate schools! MCAT, DAT, OAT, PCAT, LSAT, GRE, GMAT, and many more! FOOD WILL BE SERVED! 3/13/11 - Three of the women highlighted in this NYTimes article have three things in common, they are actresses, scientists, and they are Jewish! They are Natalie Portman, Hedy Lamarr and Mayim Bialik! Read about it in: Natalie Portman, Oscar Winner, Was Also a Precocious Scientist by Natalie Angier. For our other articles, visit General News and Articles. 3/6/11 -New interviews with two MD Students (1 and 2) and an Optometry Student have been posted. Visit Mentors' Round Table to read them as well as others. 3/1/11 - Meet March's Woman of the Month, Emmy Noether! As a contemporary of Albert Einstein she was, in his own words, "the most significant creative mathematical genius thus far produced since the higher education of women began." 2/21/11 - Med School In Israel: Just What the Doctor Ordered by Sharon Udasin. Read about the growing number of American students, Jewish and non, who are opting for programs in the Jewish state. For our other articles, visit General News and Articles. 2/14/11 - You voted, we listened! JAWS is proud to present our newest feature, Mentors' Round Table! We have interviewed (and will continue to interview!) real life women in the fields of science and health. These are women of varying levels of experience and backgrounds, brought to the table to answer your questions about everything from work-life balance to financial management. Read on, be inspired, and leave them (and us!) a comment! 1/28/11 -We couldn't keep February's Woman of the Month to ourselves any longer! Who would have thought that the first Italian to receive a nobel prize was a Jewish woman?!? Against all odds, from her father's disapproval, to Benito Mussolini's race laws, and finally the disbelief of the scientific community, she still managed to succeed. Meet Dr. Rita Levi-Montalcini! 1/17/11 - We introduce a resource for Sabbath-observant MD students who desire shomer Shabbos residencies. Visit the site here and view our other resources listed in Links. 1/11/4/11 - Check out AJS Fall 2010 with articles like Dream Doctors: The Soul of Jewish Medicine (p. 25), Jewish Doctors, Jewish Wisdom (p. 36), and more! It's an entire magazine perfect for our JAWS members! For our other articles, visit General News and Articles. 1/1/11 - With the new year comes a wonderful story of a poor but curious rabbi's daughter and her journey to becoming a successful chemist and nobel prize laureate. Meet our January 2011 Woman of the Month, Dr. Ada Yonath! 12/21/10 - We've uncovered an old but interesting NYTimes article. Read Working World Grows For Orthodox Women; New Fields and Strict Judaism Coexist. For past articles, visit General News and Articles. 12/8/10 - Our December WOM, Judith Resnik, was the first Jewish woman to travel to space. Her pioneering spirit brings to mind the bravery of the Hanukkah heroine, Judith (Yehudith). Read her story, be inspired and may her memory be for blessing. 11/3/10 - Upcoming event on November 15th! Leaders in Medicine: Dr. Zev Rosenwaks, M.D. Meet with Dr. Zev Rosenwaks, M.D., a world class physician and leader in reproductive medicine and a graduate of Brooklyn College! "Leaders in Medicine," presented by AMSA in partnership with the Magner Center and Alumni Affairs. 11/2/10 - Our November Woman of the Month is Dr. Barbara Barlow, pioneer pediatric surgeon and lifetime community activist! See past WOMs here. 10/19/10 - Upcoming event on October 29th! Graduate and Professional School Fair (Includes many Graduate programs, Law, Nursing, Medicine, Psychology and more!) sponsored by Brooklyn College's Magner Center for Career Development and Internships. It is open to all Brooklyn College students and alumni and the general public. 10/15/10 - Check it out -two new career pages! Visit Optometry and Nurse Practitioner. 10/2/10 - It's been a year since Woman of the Month first began and there is no stopping us now. Join the celebration by reading up on our October WOM, Elaine Fuchs! After that, click on over to a video highlighting Dr. Fuchs's life and work. 9/15/10 - JAWS at Brooklyn College, Reunion and Inauguration Event tomorrow! 9/13/10 - Phew! Relief for mothers and mothers to be...check out two new articles here. 9/8/10 - Wishing all our members a happy and healthy New Year! 9/1/10 - It's already back to school for many of us, so let us go back in time too. Meet this month's highlight, Elizabeth D.A. Cohen, Louisiana's first woman physician. 8/23/10 - A new Links category 'For Your Interest' has been added. Under this category you will find inspiring and informative websites to explore at your leisure. Also be sure to check out our latest find in Blogs, Mothers in Medicine. Enjoy! 8/5/10 - You do What? A look at unconventional careers in our General News and Articles! 8/1/10 - Grab an icy drink and read about our August WOM Mini Verter and her "Rare Road to Residency." 7/20/10 - Summer Convention hosted by the Association of Orthodox Jewish Scientists. Convention starts July 23rd, register now before it's too late! 7/1/10 - Summer is here! And so is our July Woman of the Month, Myriam P. Sarachik! 6/18/10 - Visit the latest blog, watch new videos, and learn about Audiology! New things are always happening at JAWS so be sure to check back often! 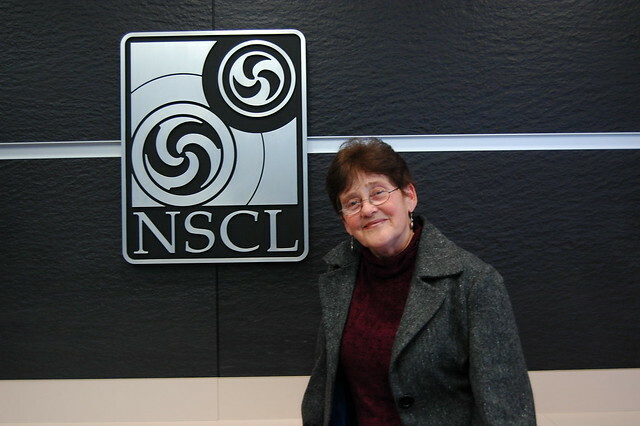 6/2/10 - Our June Woman of the Month is biochemist Maxine Singer. Enjoy! 5/13/10 - Notice anything new to the site? JAWS has added drop down menus! Just roll over the headings to view a list of subcategories. We hope you like it! Don't be shy -let us know! 5/6/10 - You asked and we listened! After a request for famous engineers, our May WOM is Dr. Eleanor K. Baum, the first female engineer to become dean of an engineer college in the USA. Meet her here! 4/13/10 - Upcoming events at Brooklyn College! Visit BC JAWS for more information. 4/11/10 - Our April Woman of the Month is finally here. Hey, late is better than never! Meet Dr. Elizabeth(Elisheva) Kaufman! Wishing you all a Happy Passover and a Chag Kasher V'Sameach!! 3/28/10 - Videos and Pictures from our events are up! 3/21/10 - JAWS will be hosting an event this Tuesday, March 23rd at Brooklyn College! For more information view events or email JAWSadmin@gmail.com. See you all there! 3/9/10 - JAWS is hosting new events at Brooklyn College! 3/3/10 - The ongoing debate about Healthcare reform is a hot topic in the media. Learn more about one woman who is making a real difference in her hometown's healthcare, our March Woman of the Month, nurse Marla Oros! 2/26/10 - Our Nursing theme continues.Learn more about Nursing on the career page here. 2/21/10 - Inspiring? We think so! Learn more about Eva Vertes. 2/2/10 - Our new Women of the Month is here! In honor of our fellow nurses we present the history of Nursing in the United States. Enjoy! 1/25/10 - New links on our Careers page! Check out Careers - 'Other Resources'. 1/11/10 - Learn more about our latest career page, the often overlooked field of Podiatry. 12/22/09 - We recorded our panel discussion with our JAWS alumni. The video is now ready for your viewing! Watch it, comment on it, and enjoy right here! 12/11/09 - Happy Hanukkah to all our viewers and members! Enjoy the holidays! 12/1/09 - This month, coinciding with World AIDS Day, we honor the life and work of Dr. Abby Shevitz, AIDS advocate and physician. View our December 'Woman of the Month' here. 11/26/09 - We recorded our lecture event with Dr. Susan Schulman and it is now ready for your viewing! Watch it here. 11/23/09 - Visit the new Physicians Assistant career page. 11/19/09 - JAWS is now In the Press! 11/11/09 - Last night Dr. Schulman spoke at Brooklyn College. The event turnout was wonderful and Dr. Schulman is a great speaker. To continue the discussion visit the Forum! 11/9/09 - Visit the new Scientific Researcher career page. 11/5/09 - Last nights Brooklyn College event was very successful. To continue the discussion visit the Forum! 11/2/09 - Visit the new Osteopathic Medicine information page. 10/21/09 - WE ARE LOOKING FOR HELP! If you have experience with any of the careers listed under Careers please help us fill out the information or edit the information by emailing us at JAWSadmin@gmail.com. Thank you! 10/1/09 - Visit our newest feature; Woman of the Month! 9/25/09 - Engineering career page is up and running. Plus check out our new Media page! 9/17/09 - Check out our new reading list on the Literature page! 8/4/09 - The e-mentoring program is officially up and running. To become a mentor or to request a mentor please visit the mentor page.